Having a pescatarian in the house forces you to become creative. Good thing I love cooking and experimenting with ingredients. The following is a simplified version of a fairly popular Italian recipe. To accompany the ragout you’ll need 1 bag of pasta, 450 grams, of your choice, cooked al dente. Pour in a pan as much extra virgin olive oil as you like—this is a safe place, we don’t judge. Cut the clove of garlic in small pieces and let it cook in the oil until golden brown, then add the broccolette and the salt. Let them cook on the stove at medium heat until they are soft. Purée the broccolette by smashing them with a fork. Put aside until the pasta is ready and then combine the ragout with the pasta in a big bowl. Spicy it up with pepper flakes if you like or parmesan cheese. Enjoy. 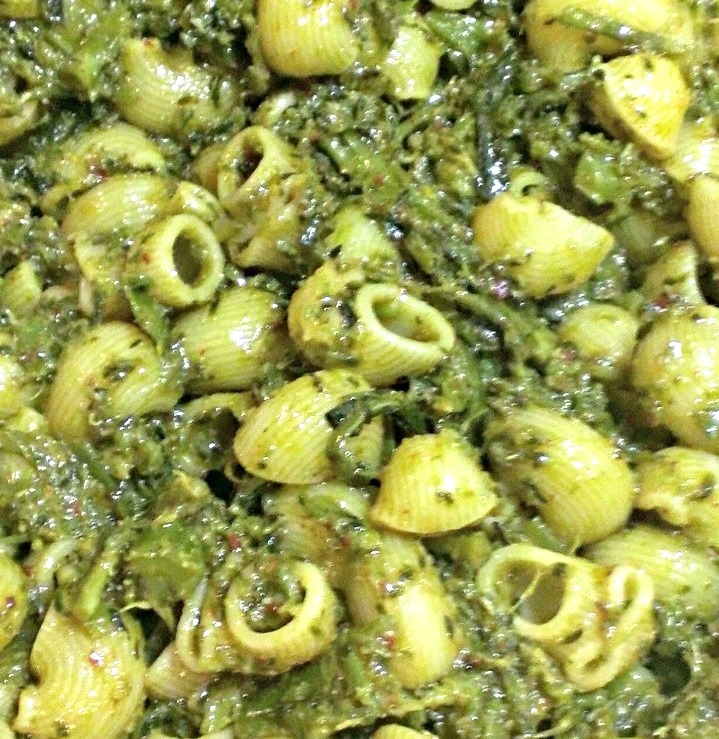 Broccolette pasta is one of the few pasta dishes that can be served , reheated, the day after. Con due filetti di alici diventa eccezionale.